Norway has an excellent education system. This country can offer you a great student experience. Norwegian education institutions keep attracting students from all over the world. Currently, there are more than 13,000 foreign students in Norway. Norwegian colleges and universities are working to make it easier for foreign students. International students can apply for some of the numerous undergraduate and graduate programs. Student exchange programs are also very popular in Norway universities and colleges. You will be able to get high quality education. Vocational subjects, postgraduate levels and doctorate levels are available to international students. The atmosphere at each of Norwegian colleges and universities is great. Teachers are approachable and willing to help. These institutions also have excellent equipment, and you will have everything you need. Visit the website of the university where you want to study, and find the application form. You have to fill out the form and send it directly to the university you are interested in. You can read the Master’s program catalogue and choose the course. There are many courses in English. 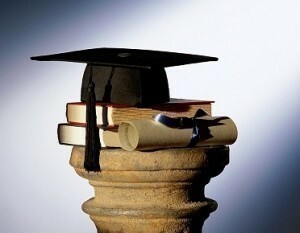 To find out more about PhD programs in English, you need to contact the institution directly. If you are interested in courses in Norwegian, visit the UCAS (Universities and College Admission Service). Read the list of education institutions. Students can work in Norway (for twenty hours/week maximum). However, there are some restrictions. If you come from a non-EU/non-EFTA/non-EEA country, you can work for twenty hours/week, but you will need a work permit. You will have to get a formal statement from the institution in which it will confirm that your study progress won’t be affected by your work. Your employer will have to write a letter stating that he has offered you a job. If you come from an EU/EFTA/EEA country, you can work for twenty hours/week, for ninety days, without a work permit. If you want to stay in the country for more than ninety days, a student residence permit will be necessary. Specific procedures and requirements will depend on which country you’re from. Regulations and requirements related to your health insurance will depend on what country you’re from. There are scholarships for foreign students, but eligibility will depend on what country you’re from – and the level of your education. Read more about scholarships for foreign students. In general, there are no tuition fees at state university colleges, but there are courses that require fees. Read more about the cost of living for students.